All The Pretty Dresses: Bustle Dress Day! 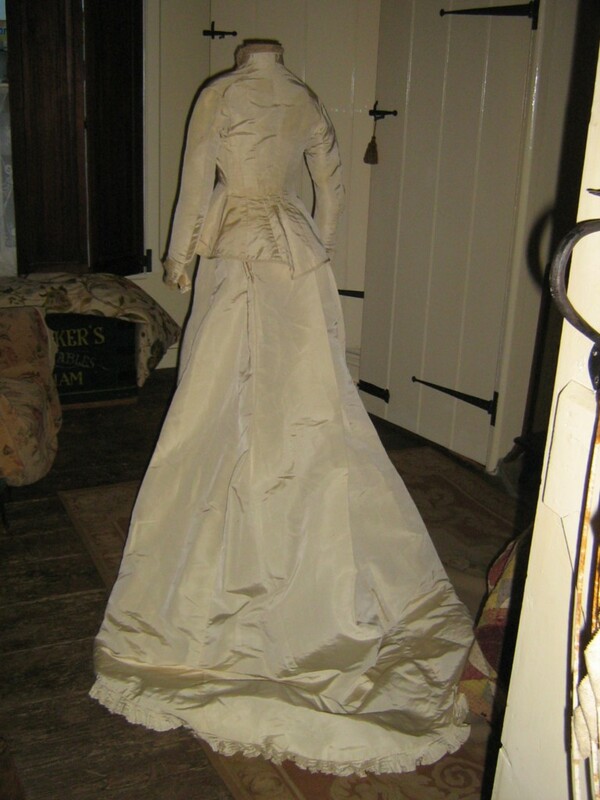 Every serious costume collector worth their salt will have an 1870's wedding gown in their collection. For the new collector, this gown is an essential addition! 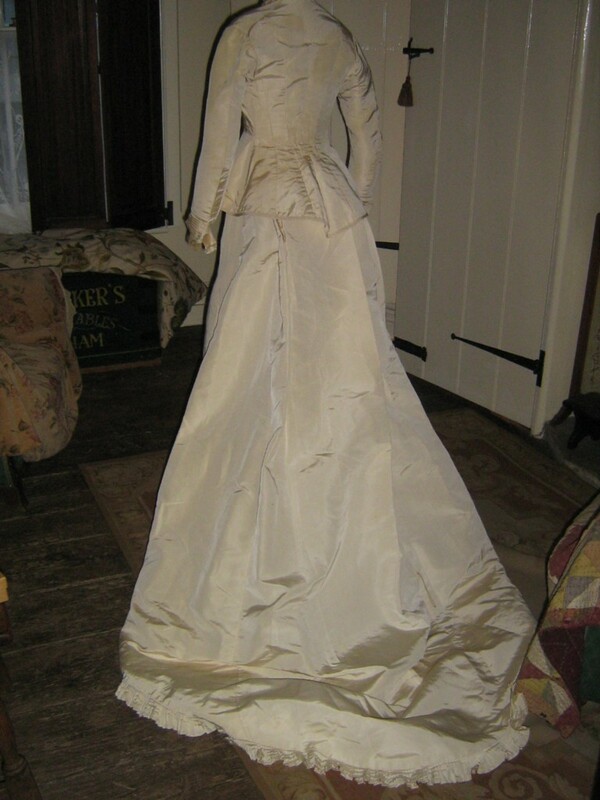 Completely unaltered, the gown is in very good and sturdy condition and beautiful to display. 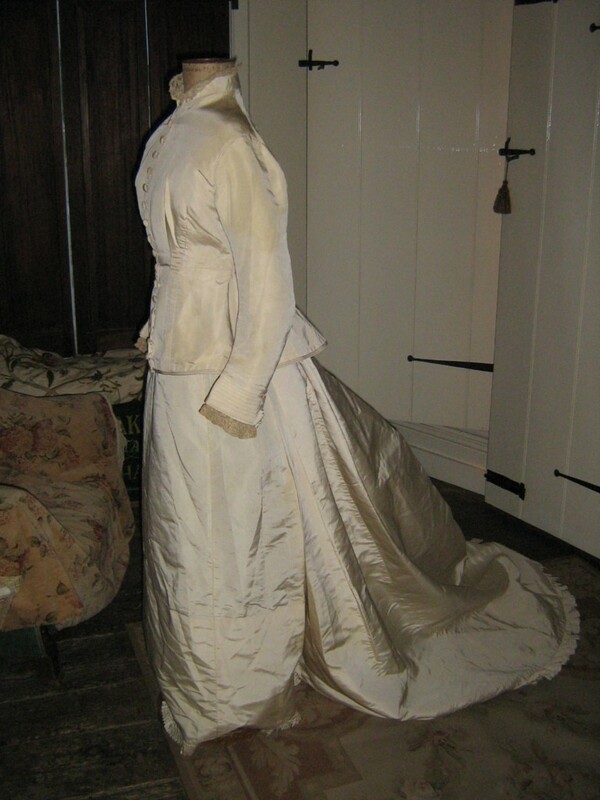 Made of an ivory coloured silk, the gown dates to the c1876-7 period and has lovely touches to illustrate the Victorian bride's considerations on her wedding day. 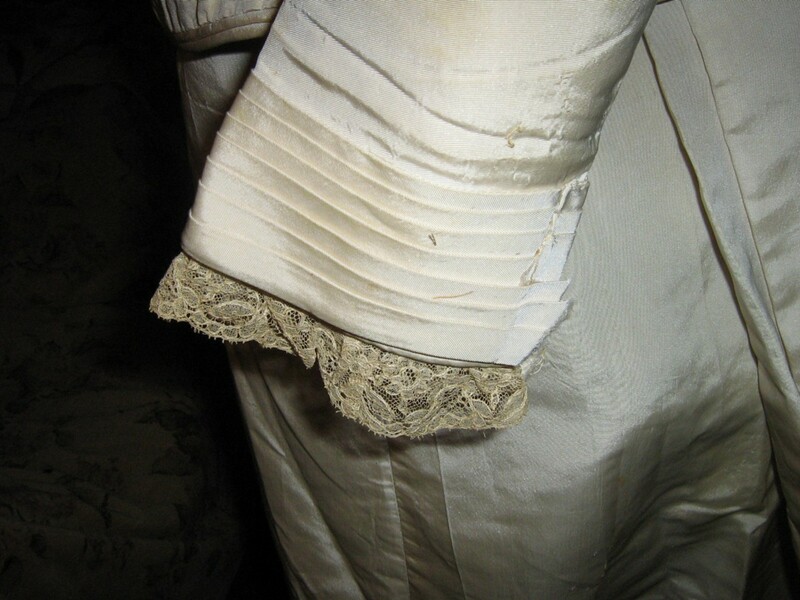 The bodice is very fitted with an original lace neck trim and sleeve trim. 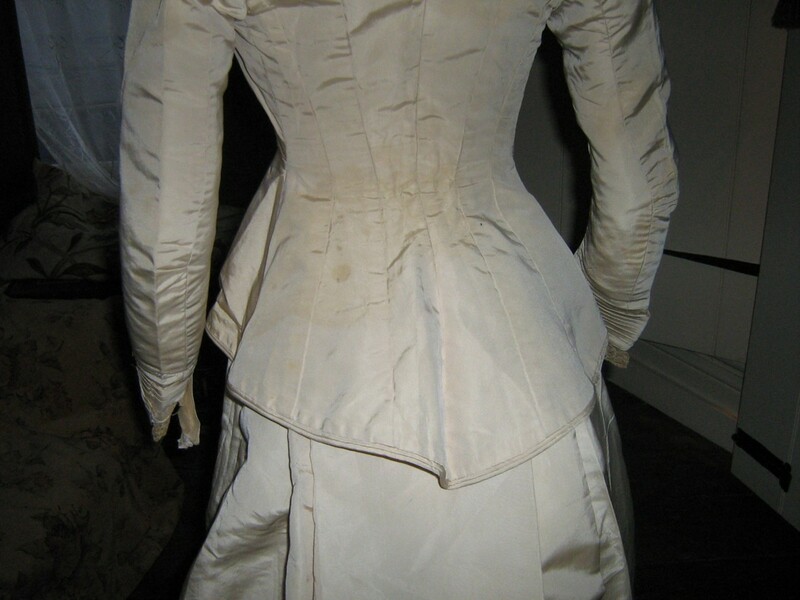 Perfectly simple, the original buttons are all intact and the bustle back is gently curved to a double piped trim. The sleeve cuffs are pleated. The skirt, with a vast trained back, has a tiny pleated trim all around the hem and retains the three sets of bustle ties inside. It is delightful to see the original loop that would enable her to manage the train as she walked. 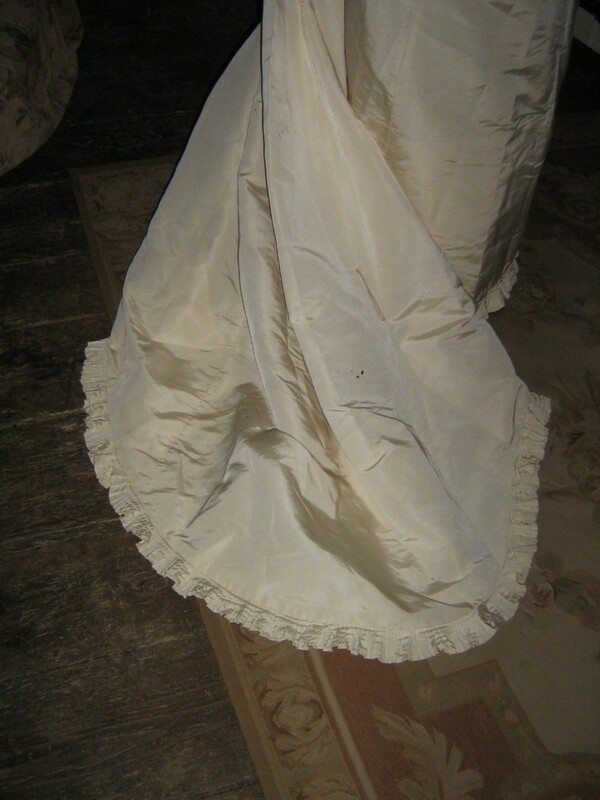 Semi lined in a lightweight calico, which is rather unusual, there is a pocket to the waist as well. The whole gown presents as very fresh, but there are large areas of very pale discolouration. Very difficult to see as staining, it is only obvious at the edges. 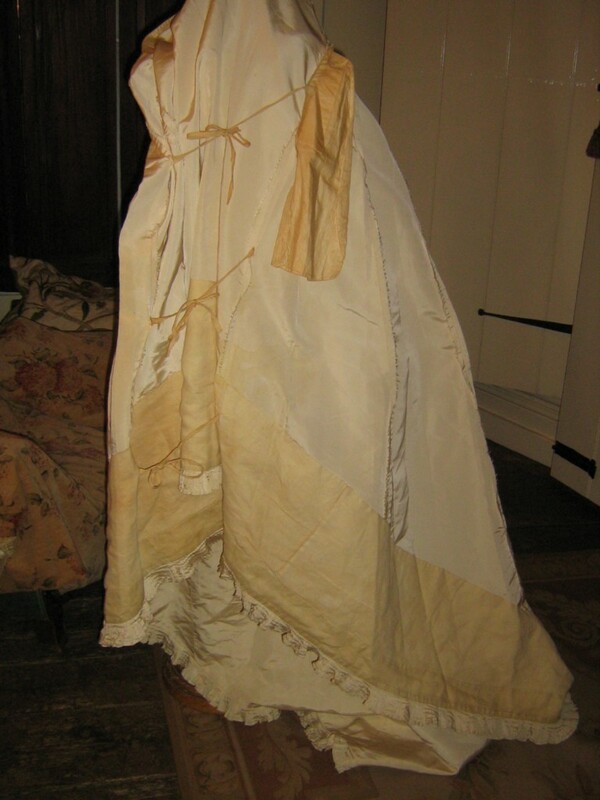 The silk is very sturdy so I do think it will cope with a sensitive dry cleaning, but as usual cannot promise. This would be at your own risk. There are very minor darker stains. At the back train, there is a small group of little holes as shown, easy to cover with a bow. 3 of the front seams to the bodice are coming undone. Two very minor, one exposing the bone beneath. These need very careful handstitching to close. 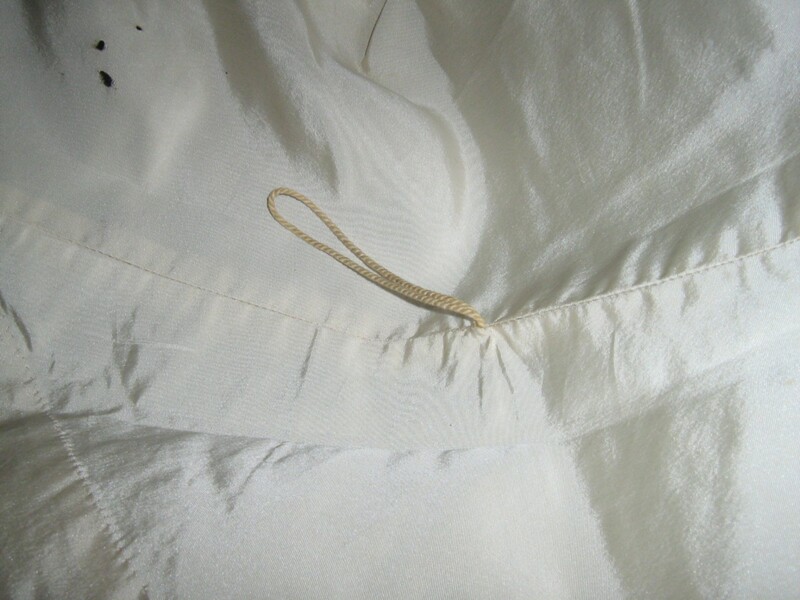 One of the pleated sections to the wrist has come away at the seam. Very simple to stitch back down. generally, the gown presents as very clean with no dusty marks. The gown is shown on a mannequin with a 24" waist but tiny 29" chest. I had to pad the chest to make it appear to fit. However, the bodice would not fit my 33" chest mannequin. I would say a 31" - 32" chest and 24" waist. **Please note that this gown came from a private home in Scotland. I am 99% certain that the bodice and skirt belong together and have no reason to doubt it. 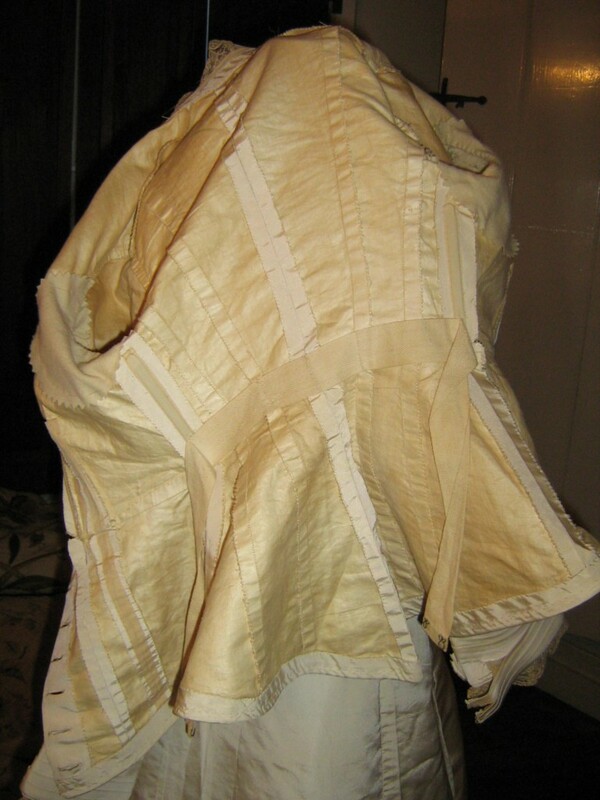 However, I was suprised that the bodice did not have the pleated trim showing on the skirt. There is therefore the smallest doubt in my mind whether the two are a set. This tiny doubt is therefore stated without any evidence whatever. 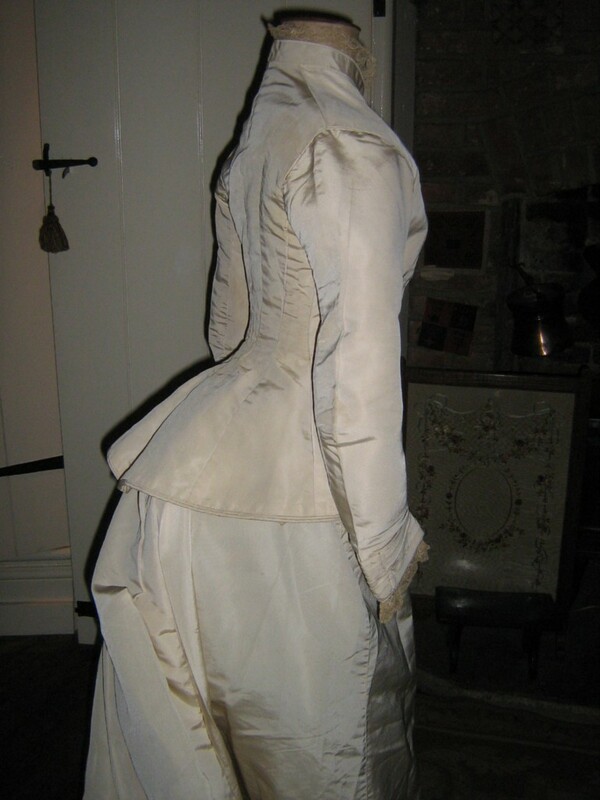 The bodice and skirt are completely age appropriate and original.